Uta Hagen made her Broadway debut at age 18 playing Nina in Anton Chekhov’s THE SEAGULL. In celebration of Hagen’s 100th year, Broadway actors and veteran performers of Chekhov — Laila Robins and Frank Wood — co-lead this special masterclass for actors focused on scenes from the works of Anton Chekhov. In this workshop for professional performers, scenes from Chekhov are first explored through table work and text analysis, then rehearsed scenes are presented in class for critique and development. Using the specifics of language, action, subtext, circumstance, and relationships the goal is to connect with the work at the deepest most personal level. Scenes may be drawn from any of Chekhov’s short or full-length plays, including but not limited to THE BEAR, THE CHERRY ORCHARD, IVANOV, THE MARRIAGE PROPOSAL, THE SEAGULL, THE THREE SISTERS, or UNCLE VANYA. Laila Robins starred alongside Uta Hagen in MRS. KLEIN (off-Broadway, USA tour) and is familiar to today’s TV audiences for her recent appearances in Showtime’s HOMELAND and ABC’s DECEPTION. Robins herself played Nina in THE SEAGULL (giving “the propelling performance…catching in her breathlessness…chameleon-like” according to the NY Times), as well as Ranevskaya in THE CHERRY ORCHARD, Sasha in IVANOV opposite Christopher Walken and Dianne Weist at Williamstown, and Masha in Sarah Ruehl’s adaptation of Chekhov’s THE THREE SISTERS. Frank Wood appeared alongside Robins as Tuzenbach in the same Ruehl adaptation, as well as in the role of Vershinin in adaptations by Richard Schechner and Krystian Lupa. The Tony and Drama League award-winning actor’s Broadway appearances include a turn as the infamous lawyer Roy Cohn in the revival of ANGELS IN AMERICA, and most recently alongside Denzel Washington in THE ICEMAN COMETH. Wood is known to TV audiences for his appearances in HBO’s FLIGHT OF THE CONCHORDS (recurring) and most recently MOZART IN THE JUNGLE. He is currently appearing on Broadway in NETWORK alongside Bryan Cranston. 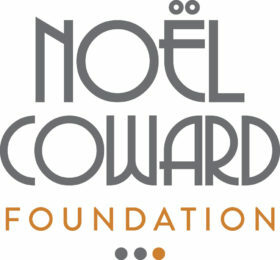 This workshop is made possible with the generous support of the Noël Coward Foundation.